I am proud to announce 14th round of Appliqué. The event is growing fast and increases with each round! 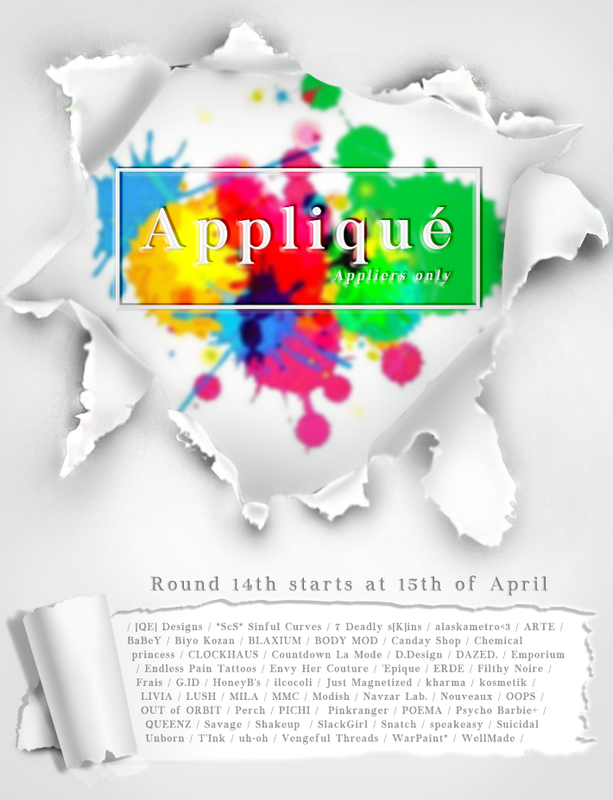 Visit us now and check the biggest appliers event at the grid. Over 50 designers, skins, makeup, lingerie, clothing, tattoos and many more!